Cassandra Arias, 27-year-old from Haverstraw, was arrested with two counts of Criminal Possession of a Controlled Substance on March5. Arias was stopped for a motor vehicle violation and was found with a quantity of cocaine. She was processed and released but will appear in court on April 2 to answer the charges. 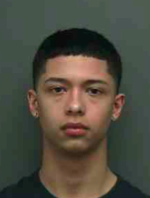 The Stony Point Police arrested Jason J. Rodriguez, an 18-year-old from Haverstraw for Criminal Possession of Stolen Property in the 4th degree. Rodriguez allegedly broke into a residence and stole a wallet containing $750 cash and a PS4 without permission. The stolen property was recovered and Rodriguez was processed. Jenner A. Ramirez, 22-year-old man from Lake Peekskill, was arrested by delete “the” Stony Point Police over the weekend for Driving While Intoxicated. The Police Department has received funding from Rockland County STOP DWI to make these arrests. 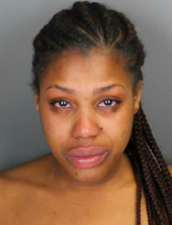 On March 19, Spring Valley resident Natasha Porter, 24, was arrested for Driving While Intoxicated and Operation of Motor Vehicle with BAC of .08% or higher. A Sheriff Patrol Officer observed the subject operating a motor vehicle on Route 59 in Nyack in an erratic manner. After several sobriety tests, the driver, Porter, was found to be intoxicated and was taken to the Sheriffs Headquarter in New City. Porter will return to the Clarkstown Justice Court. 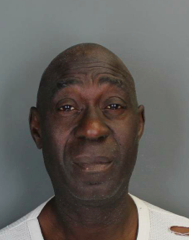 Michel Momoh, age 59 of Garnerville, was arrested on March 19 for Criminal Possession of Stolen Property in the 5th degree, Aggravated Unlicensed Operation of Vehicle in the 2nd, and Operation of Vehicle with Court Ordered Interlock. A Sheriff Patrol Officer observed Momoh operating a motor vehicle on Route 45 with stolen license plates. After the vehicle stop, it was determined that he was driving with a revoked license and without a court ordered interlock device, as a result of a previous DWI arrest. Momoh was processed at Sheriff Headquarters in New City and was released on summonses to return to Spring Valley Justice Court. Juan Jerez, 38, is wanted by the Ramapo Police for Driving While Intoxicated. The charges stem from an incident that occurred in April of 2015 in Montebello. Jerez is 6’4 and weighed 210 lbs at the time of the arrest. Anyone with information regarding his whereabouts is asked to contact the Police Department at (845) 357-2400. The Ramapo Police arrested a 22-year-old man from Pomona for Unlawful Possession of Marijuana and a 17-year-old from Spring Valley for Operating a Vehicle with a Suspended/Revoked Registration, Leaving the Scene of a Property Damage Accident and other vehicle and traffic violations. hit the patrol car’s mirrors, causing damage to it. The vehicle attempted to flee the scene before running off the road. The three people in the car fled on foot and the officers caught one of them, which was the 22-year-old. Further investigation determined that the driver and owner of the vehicle was the 17-year-old. Both arrestees are due in Ramapo Justice Court. 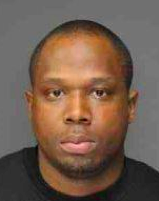 Tuesday night, the Ramapo Police arrested a 36-year-old man from New City for Criminal Possession of a Controlled Substance and Unlawful Possession of Marijuana. An officer approached the parked car that was running in the corner of a restaurant parking lot. While speaking with the car’s occupant, the officer noticed drug equipment and marijuana in the vehicle. The officer took the driver’s Adderall and marijuana. The defendant will appear in Airmont Court early next month. Orangetown Police arrested Kenneth L. Snipes (57-year-old from Valley Cottage) on March 10 for Reckless Endangerment in the 2nd degree. Police responded to the emergency room at Nyack Hospital on a report of a male with a firearm. Upon arrival, officers found Snipes on the floor being restrained by security guards. One of the guards recovered the firearm, which was a loaded 9 mm handgun and gave it to the officer. The investigation determined that Snipes, allegedly, was involved in a verbal and physical altercation with hospital staff and then displayed his gun to the staff and patients. He did however have a permit to carry the gun. Snipes will appear in Nyack Court on March 28 to answer the charges. On March 16, the Orangetown Police arrested Jessica T. Tubito (21-year-old from Mahwah, NJ) for Criminal Possession of a Controlled Substance in the 7th degree and Possession of a Hypodermic Instrument. Police were investigating a suspicious vehicle iof which Tubito owned. In the vehicle, they found one glassine envelope containing alleged heroin and one hypodermic needle. She will appear in Nyack Court on April 11. The Orangetown Police arrested Thomas Breen (60 year-old of Pearl River) on Saturday for Driving While Intoxicated and Aggravated Driving While Intoxicated; both misdemeanors. The police originally stopped Breen for vehicle and traffic law violations. Officers observed the suspect’s glassy, bloodshot eyes, his impaired speech and coordination and the odor of alcohol coming from his breath. He failed numerous on-scene sobriety tests. He was transported to headquarters where he failed a breathalyzer. He will return to court on April 4 to answer the charges. 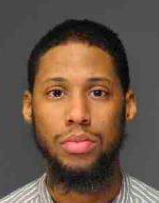 Orangetown Police arrested Brandon Samuel (25-year-old of Bloomfield, NJ) and Tydell Tribble (26-year-old of NYC) on Saturday afternoon for Possession of a Forged Instrument in the 1st degree, Conspiracy in the 5th, and Petit Larceny. Police received a call from a bank in Orangeburg about a false check. It is alleged that the two men showed up with a check and asked an employee to cash it for them. When told it was fake, the two then fled the bank leaving the check behind. It was determined that the check was fraudulent. A witness provided officers with the description of the subject’s vehicle and their license plate number. After the officers tracked them down, the two were transported to headquarters and placed on $7,500 bail. On Sunday, March 19, the Orangetown Police arrested a 23-year-old male from West Haverstraw and a 25-year-old male from Suffern on two counts of Disorderly Conduct. The two were involved in a physical altercation in Pearl River around 8:30 at night. The two were transported to headquarters for processing. They were later released on $100 bail but will return to court on April 5.